Subramaniam, Banu, Laura Foster, Sandra Harding, Deboleena Roy, and Kim TallBear. 2017. "Feminism, Postcolonialism, and Technoscience." 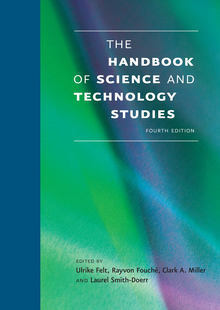 In Handbook of Science and Technology Studies, edited by Clark Miller, Laurel Smith-Doerr, Ullrike Felt and Rayvon Fouchï. Cambridge, MA: MIT Press/4S.